Feature-Rich. Light. Slim Hard Drive. Seagate® Laptop Thin HDD (formerly Momentus® Thin) offers feature-rich, slim, lightweight style at price and capacity points that enable no-compromise designs for thin computing. Seagate has purpose-built the Laptop Thin HDD to meet our customers’ demand for affordable, slimmer, fully functional computing solutions. Meet your needs with 500GB, 320GB, 250GB and 160GB capacity options. While traditional laptop hard drives offer a z-height of 9.5 mm, the Laptop Thin HDD stands apart with a z-height of just 7mm. 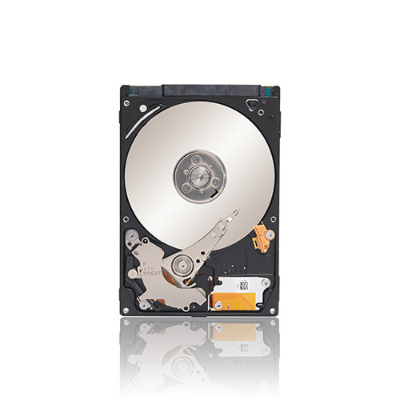 Laptop Thin HDDs include Seagate SmartAlign technology. This innovation helps you easily get all the benefits of the new Advanced Format 4K sector standard—no utilities, no extra steps. AF drive migration happens automatically in the background. The drive's performance is not affected, and there is no need for time-consuming utilities required by other AF-enabled drives. Seagate Laptop Thin Self-Encrypting Drives deliver government-grade encryption without performance degradation—protecting your data where it lives. You get all the benefits of secure data encryption without the headaches. Until recently, system integrators and OEMs had no choice but to limit their thinner, fully functional computing designs to high-end devices. The available hard drive options were either too costly, too slow performing or both. Seagate Laptop Thin HDD drives leverage current laptop drives in both material and product design to provide the world’s first 7mm 2.5-inch form factor drive. The result is affordable, thin storage for entry-level to mainstream laptops, high-end netbooks, thin ultraportables and slim-computing devices.